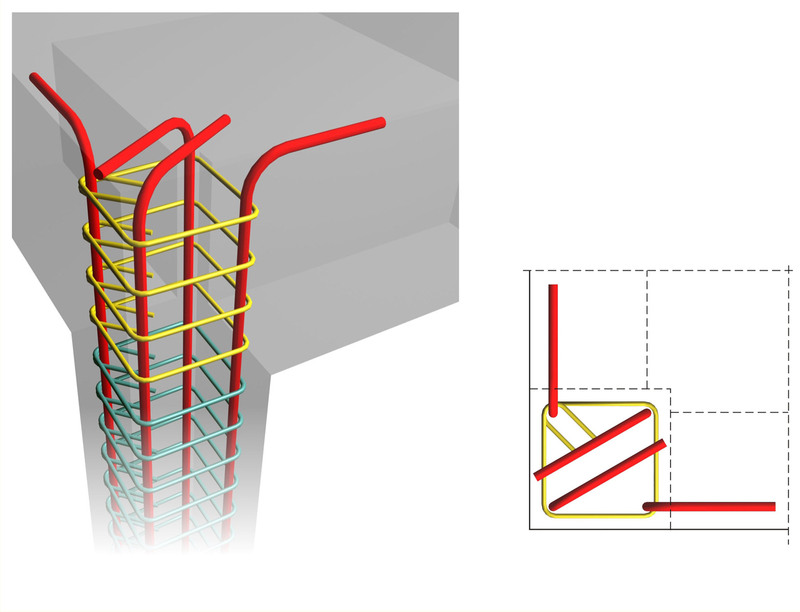 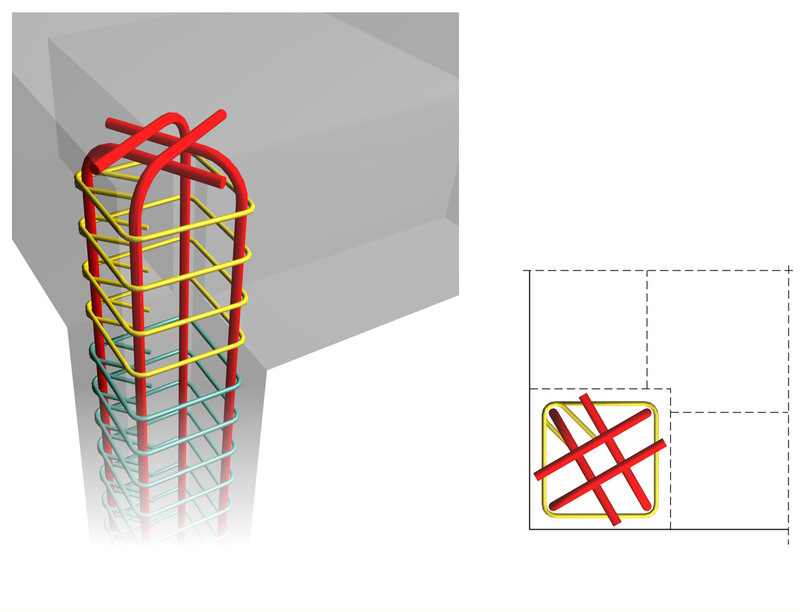 Column rebars must be properly anchored to the upper floor level in order to behave in the re-quired way. 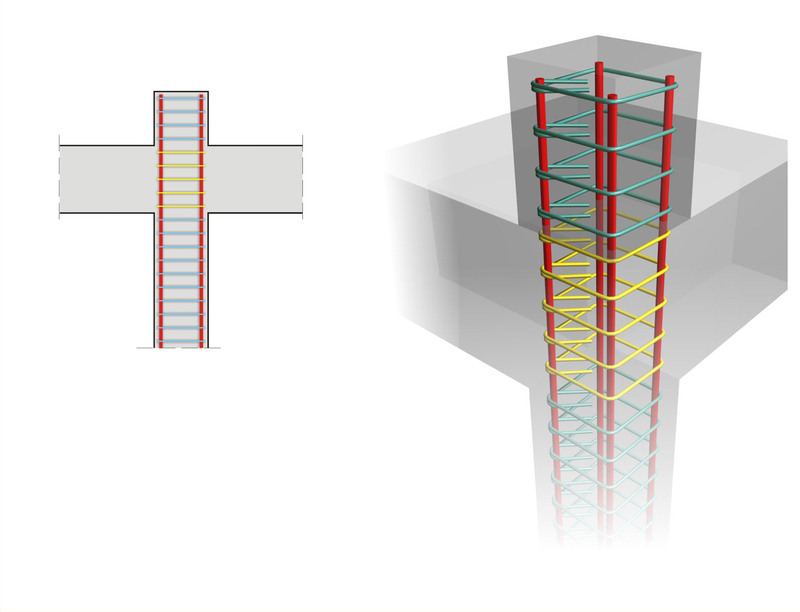 The most effective way to anchor the upper floor column rebars is by creating a “concrete hat” on the top of the column thus allowing the rebars to be anchored without being bent. 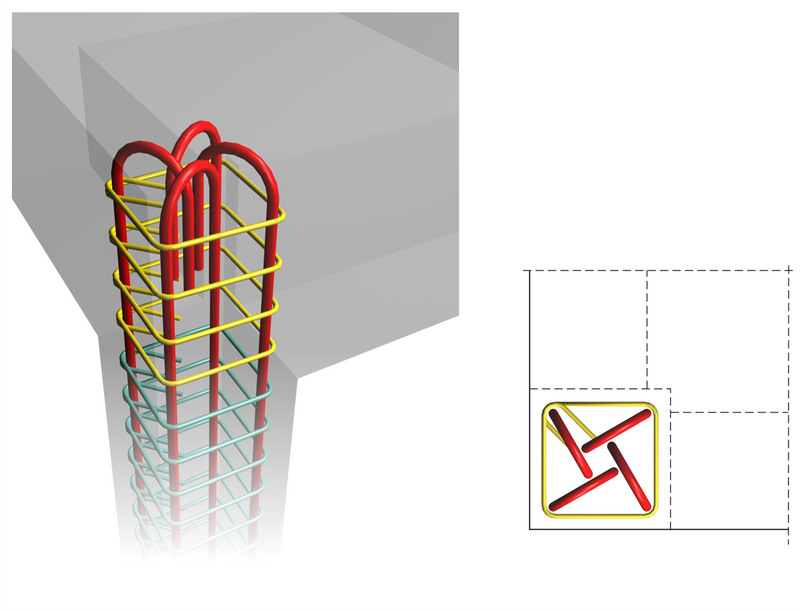 Anchoring the upper column rebars with the use of an additional ‘concrete hat’ upon the flat roof is a simple and neat solution. 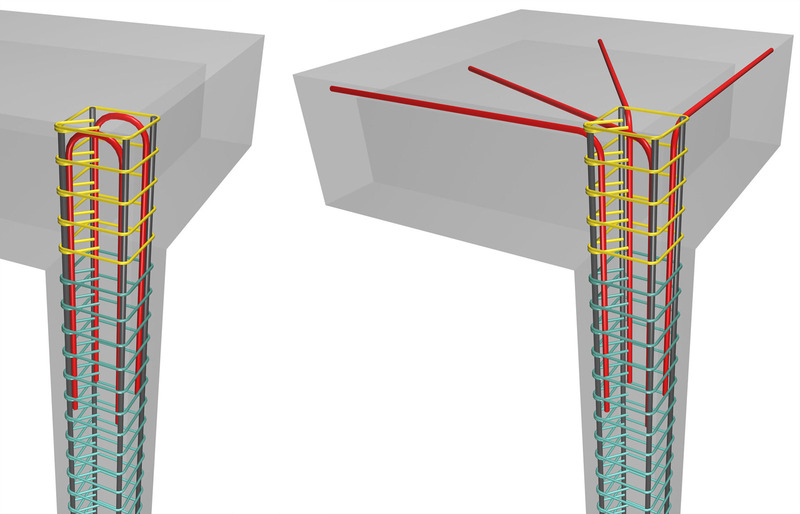 (e) When placing small bar diameters inside high-strength concrete mixtures, the straight an-chorage length might be short enough to fit inside the joint area.